I have many flaws, but one of the worst is that I say "I should have" way too much. Despite some progress in overcoming being seized with a lot of regret, I often find myself wishing I had done something I failed to do. In the case of the garden pictured above, I can't help but be irritated that I didn't photograph the scenes the owner created and maintained over a number of years. 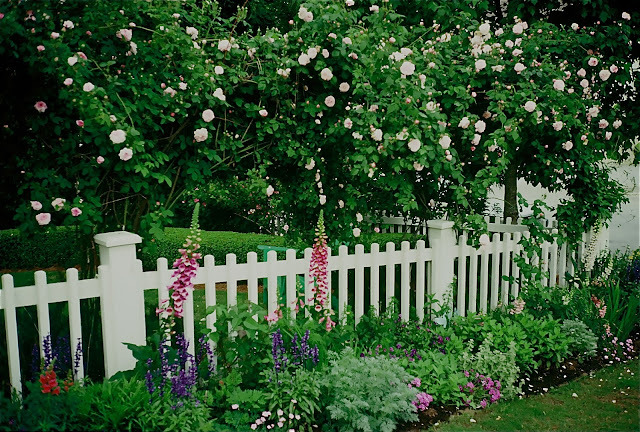 You could go there in early May, and roses, peonies, irises, clematis and deutzia, along with a variety of colorful lettuces and fresh herbs, filled borders on all sides of the house, set on a corner lot. A spectacular heavy curtain of 'New Dawn' roses overhung the front of the house. You would see cars come in and out of the subdivision and stop to look at the profusion of beauty. In late June, an allee in back of the house was bordered with Hydrangea arborescens 'Annabelle' and outlined with the large leaves of Hosta sieboldiana 'Elegans'. 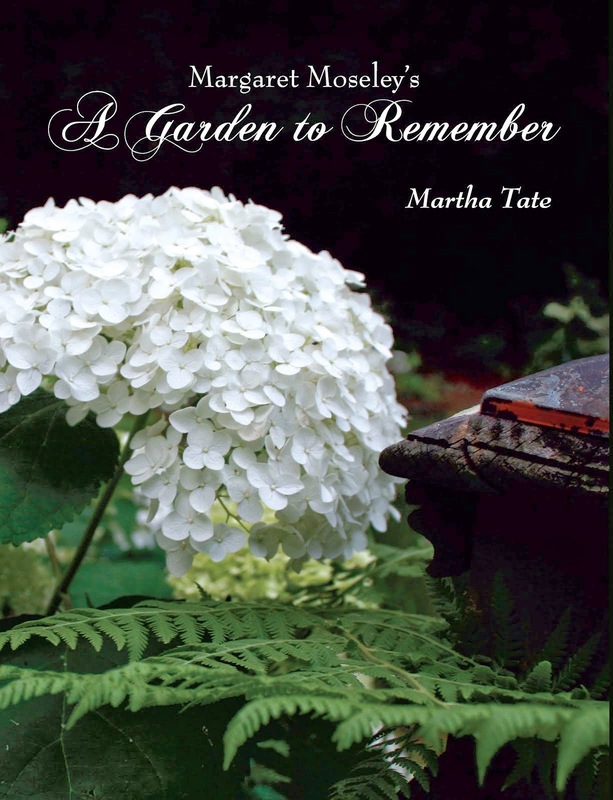 I did do a feature article for Atlanta Homes & Lifestyles magazine, and at least I can look at the pictures to remember all the wonderful plant combinations (i.e., lime green barberry, light blue clematis and white philadelphus). We also did an episode of A Gardener's Diary on Home & Garden Television on the garden. In fact, that's the first time we ever had to cancel a day of shooting, due to rain and storms. I haven't been to that part of Atlanta in at least a decade. I think I heard the gardener moved years ago. Her beds and borders were labor intensive, so I don't know if whoever bought her house kept up the garden. So, here's my regret. I did take a few slides the day of the shoot (above). The garden was on many tours, and the owner was so generous that you could go there anytime and wander through. Why I didn't capture more of the many vignettes within the garden, I don't know. It was before the day of digital cameras, and slides took a lot of effort, it seemed. Here's the lesson. If you go on a garden tour or visit a garden, take more pictures than you think you'll ever want or need. In the heyday of the above garden, there was no such thing as a blog. I'd love to be able to share all the great ideas contained in this corner lot (I still remember the peach colored 'Abraham Darby' rose, next to 'Beverly Sills' iris, about the same color, and in the middle a dark maroon colored stand of copper fennel - stunning). I'm sure I thought at the time that there would be many more opportunities for me to photograph this garden, but that didn't happen in this case. So, here's some advice from the Queen of Regrets: Make sure your camera battery is charged, and take every chance to seize the day while the garden is still there. You just never know what the future holds, and the moment can be gone when you least expect it. I remember this garden and the wonderful ribbon path in back. Wonder what it looks like now. I love your photos and reading your blog posts. And I love A Gardener's Diary. I'd love to see it return to tv. Maybe you and Erica could make more shows!!!!! Maybe a trip to see what the new owner has or has not done!